Passover Popovers is moist and has a soft crumb. 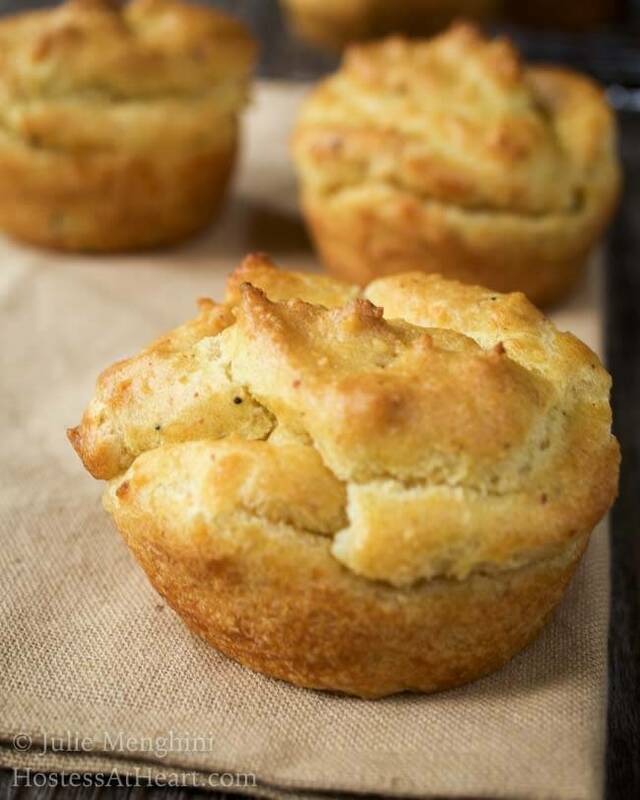 This recipe is versatile and can be made as muffins, and would be a great addition to any meal. I originally baked these beautiful Passover Popovers as a part of a monthly bread baking challenge. The theme of the month was Jewish breads. My experience with Jewish bread is that I have eaten Jewish Rye which is delicious and found in many wonderful delis. While I’ve never baked Jewish rye, I was thinking that this might be a popular recipe. I always push myself to try recipes that I haven’t made before. I found this recipe for Passover Popovers. Passover Popovers are made with Matzah Meal, or Matzah Cake Meal or a combination of both. Matzah Meal resembles breadcrumbs to me and contains only wheat flour and water. 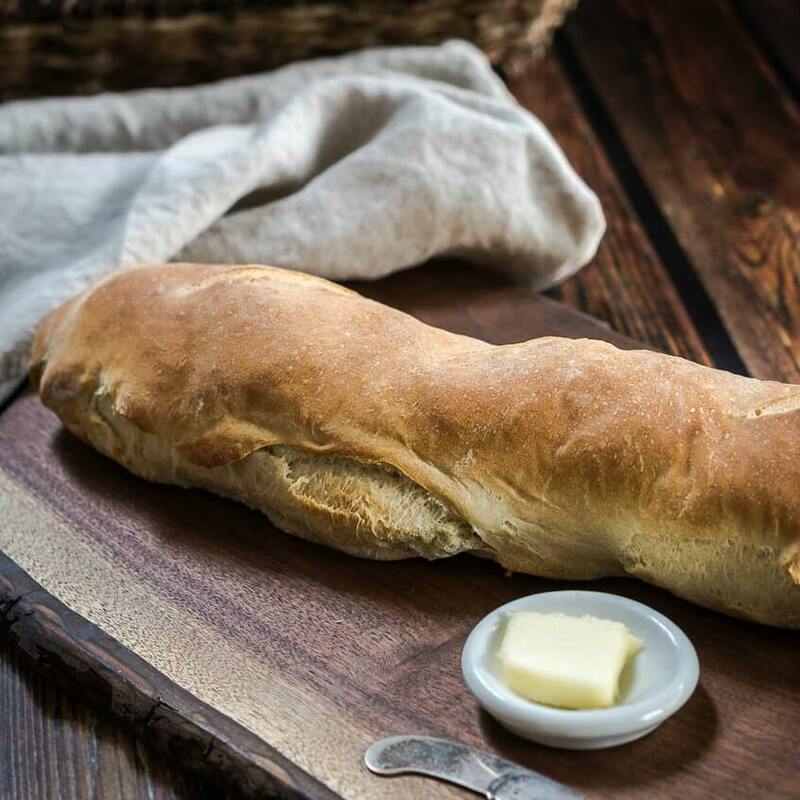 This was a very simple recipe to make, but it was unlike any bread recipe I have ever made. This recipe’s title states that they were popovers, but the instructions have you fill muffin tins, so I used both pans. They both came out beautifully, so use what you have available to you. Passover popovers are moist and have a soft crumb. This recipe is versatile and can be made as muffins, and would be a great addition to any meal. Combine water and oil and bring to a boil. Remove from the heat and, using a wooden spoon, stir in dry ingredients until well combined. The batter will be very thick. Allow popovers to cool slightly. Stir in eggs one at a time until well combined. Rest batter for 30 minutes. Preheat oven to 400 degrees F. Grease a muffin or popover pan. Fill cups 3/4 full. 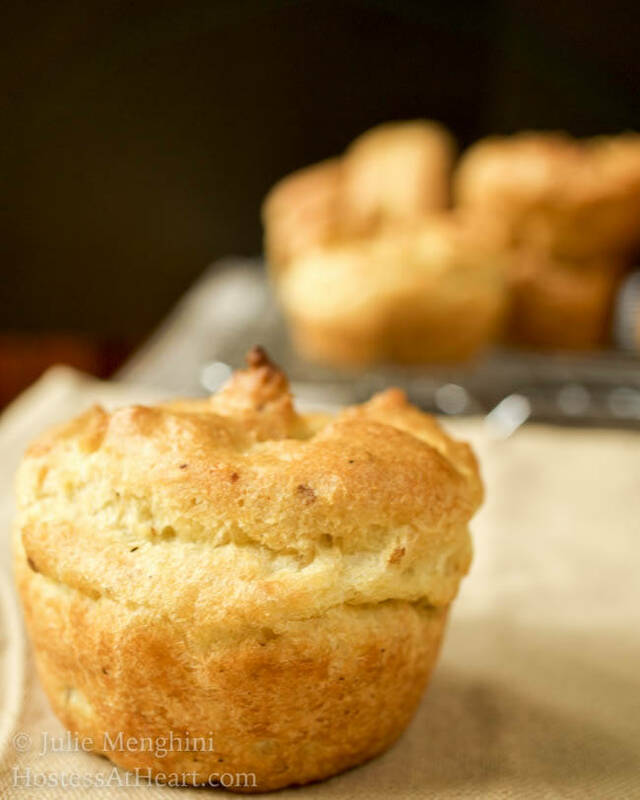 Bake muffins for 20 to 25 minutes and popovers 30 to 35 minutes or until golden brown. Remove from the oven and turn out onto a towel or cooling rack and allow to cool. Sadly this particular challenge group ended, but I definitely made some amazing recipes with this group and learned so much from these talented bakers. Don’t be afraid to try something new and find a baking challenge group that will keep you actively learning. It’s great fun! ! These Passover Popovers were definitely a success! 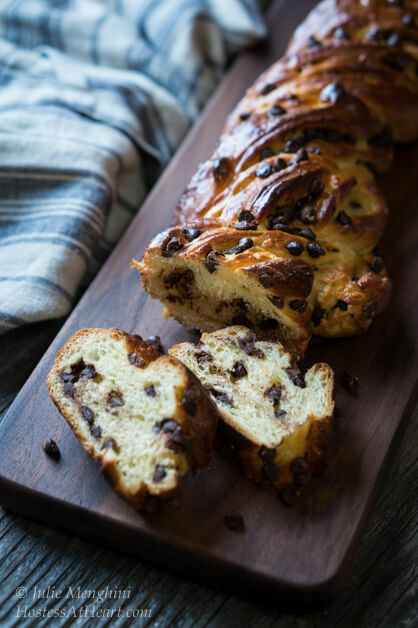 Here are a couple more bread recipes that are definitely successes! I’m sure they were amazing! I’ve never made popovers–these sound really good, Julie! One of my favorite treats ever! They never end up looking as poofy as yours though so I’m going to try your recipe and see how it goes! Happy FF! Thank you Cynthia! They are easy to make and I hope you enjoy them! I hope you have a wonderful weekend! Thank you Claudia! I saw some beautiful popovers and couldn’t wait to get a pan for them. I’ve only used it twice, but the are fun! I was married to a Jewish guy long ago and really did not like anything Matzah. I also did not like much else either. Jewish rye though, yummm. Thank you! I’ve never had matzah anything but these are good! I’ve always been hesitant on a lot of jewish dishes and still haven’t dove in very far, but like you, the rye bread is delicious! I am loving your bread baking series Julie. So much to learn and discover along the way. YUM! I love popovers! I want these so bad! 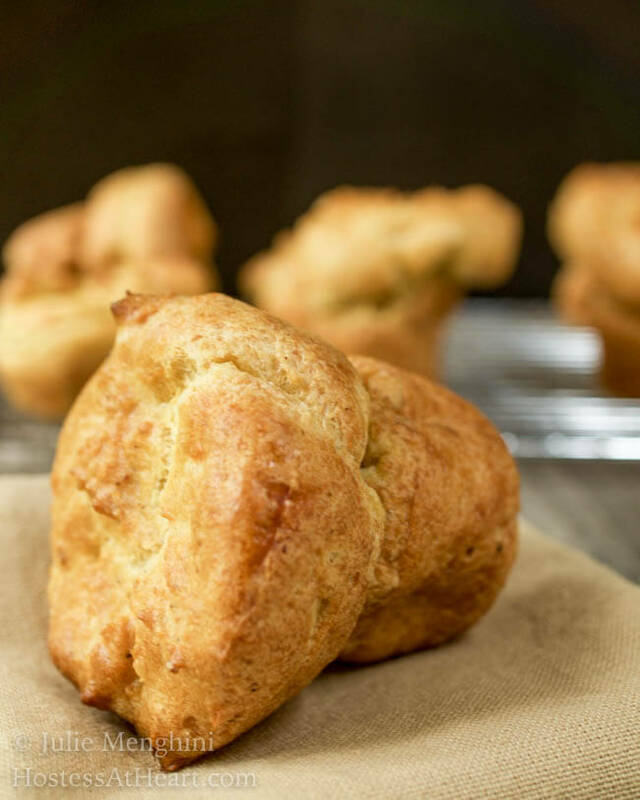 Do you have to have the special popover pan to bake these? Thank you! I do that pan. It was one of those pans that I just had to have and have used twice. They did bake beautifully in the muffin pan too. 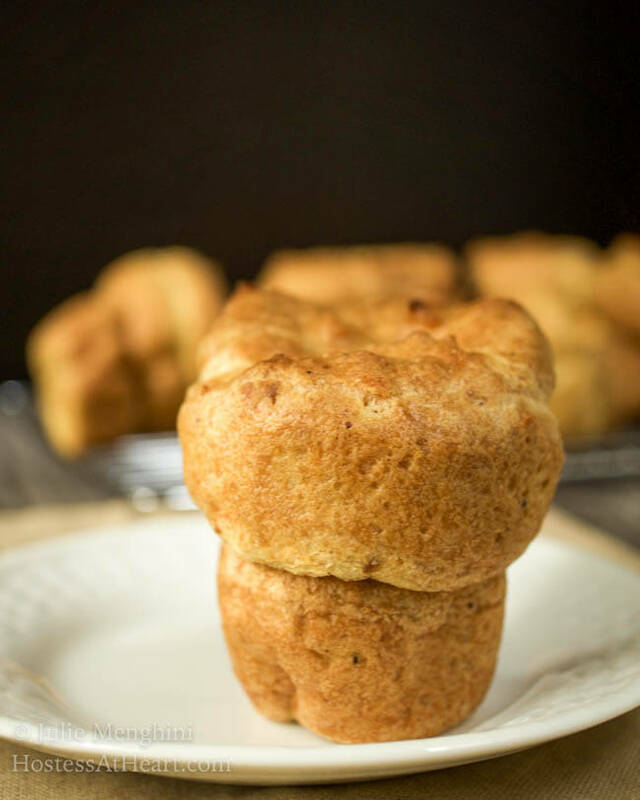 I will HAVE to make popovers sometime because these look soooo delicious! I love how simple and no-fuss you’ve made these! Thank you! They were very easy! Enjoy your day. I JUST got a pop-over pan. I’ll definitely give these a try soon. Thanks for the recipe. Thank you! Please let me know what you think! Thank you! I wish there was a virtual share button. Maybe that’s next? These were so easy to make Judi! Prime rib? Yum! Thank you! They were thick and heavy to make but baked up nice and soft. I wasn’t sure what I would get. What a great find! They are so cute!!! Very cool choice. Thank you Karen. They were a fun choice. Thank you, Julie! Your popovers are lovely looking. Special bonus: Your recipe looks absolutely do-able! I will be seeking out matzah cake meal on my next trip to the market =) P.s. Love your philosophy of doing at least one thing a day that brings you joy. Thank you! This recipe is very easy! The matzah may also be listed as just Matzah meal. Mine was but I googled it and it was o.k. I love to think of something that I am looking forward to everyday before my feet hit the floor. Sometimes it’s just not having a ton to do! Thanks again for stopping by! These look really yummy, Julie! I’ve never made popovers before. I have always heard they are tricky. Yours sure came out beautiful! These were not hard at all, and quite frankly, I was amazed that they came out as light as they did since the batter was like mud! It’s the first time I’d ever tried Matzah. It was a great experience. I was totally intrigued when I saw you were making Passover popovers because I couldn’t imagine what they’d be like. But let’s hear it for good old matzo meal; it sure is versatile. 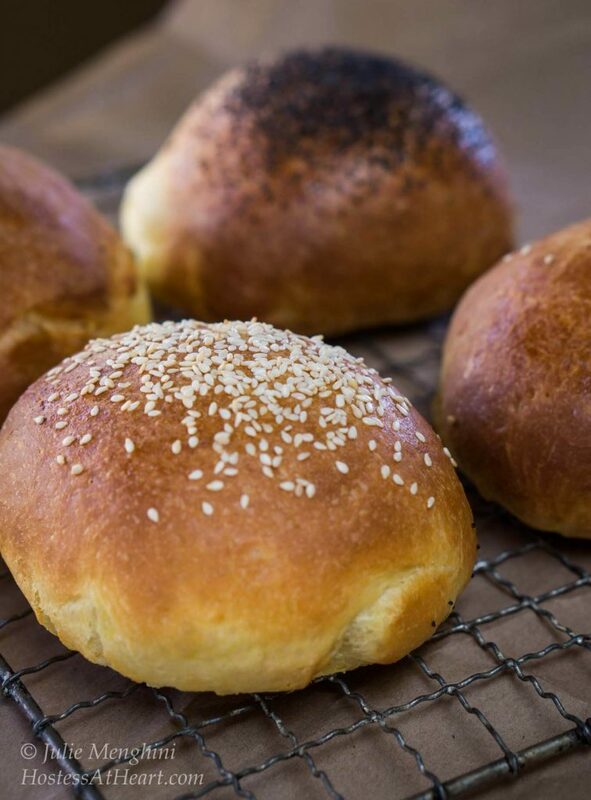 These actually look GOOD and you can’t say that about too many Passover workarounds. Can’t wait to give them a try. Thanks for sharing! Thank you Robin! It was the first time that I have used Matzo and the batter was soooo thick that I could even imagine that these popovers would be as light and soft as they were. I loved the experience. Thank you Heather! It was a fun theme. I had no experience with matzah, and now I can say that I do. I had the same level of Jewish bread experience as you did up to now. And love your find and recipe, they look great. Thank you Evelyne! I sure didn’t know what to expect so was actually pleasantly surprised. It was a fun challenge. Thank you Dini! It was sure an experience for me. I’ve never used Matzah before and it was so easy not having to wait for bread to raise. Let me know if you do and what you think. They were much lighter than what I expected because the dough was so thick.